Tottenham Hotspur take on Real Madrid in the Champions League this evening. 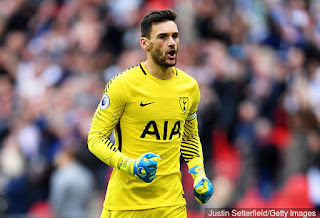 Real Madrid manager Zinedine Zidane has been quoted by The Mirror as saying that he feels Tottenham star Hugo Lloris will do his best to prevent a Real win tonight. Spurs head to Spain for their latest Champions League encounter, having picked up a narrow 1-0 Premier League win over Bournemouth on Saturday afternoon. Christian Eriksen's goal handed Spurs the win, but now Mauricio Pochettinomust plan for a much sterner test, as Tottenham face a trip to the Santiago Bernabeu to face Real Madrid. 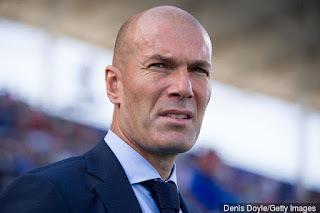 Zinedine Zidane's men have won three of the last four Champions League titles, and Tottenham’s last visit to the Bernabeu didn't go to plan, losing 4-0 under Harry Redknapp in 2011 after going down to 10 men early on. Pochettino will hope for much better this time, especially having picked up two wins – a 3-1 win over Borussia Dortmund and a 3-0 thumping of APOEL Nicosia – from their first two games of the group stage. Ahead of tonight's game, Real Madrid manager Zinedine Zidane has told The Mirror that he thinks Tottenham have always been a great club, believing it will be a great test as Pochettino has 'done a great job'. Zidane, a fellow Frenchman, will be all too aware of Lloris' quality, but he feels that Spurs as a team are a tricky test given their constant improvement under Pochettino. “Hugo Lloris will do his best for us not to win. He is a goalkeeper who has improved a lot, he was really good at Lyon but progressed a lot. He will play a very important role. I will see what we can do to create difficulty for Tottenham’s defenders. It’s not only a goalkeeper, it’s a whole team. It is a team that’s improving,” he added.